When it comes to writing a cause and effect paper, you have the difficult task of explaining how one event or action directly resulted in another. Each writer will have his or her own process of laying out the relationships and reasons why they relate. The first step to writing this is the task of choosing a topic for your paper. When writing about cause and effect, there are different types of cause relationships to consider. Both types of causes are significant, but it is crucial to dig for the ultimate causes that are not as apparent in order to write an interesting paper. Depth of the cause-effect relationship: In order to have enough information for your paper, you need the cause-effect relationship to be deeper than one thing caused another. You want it to have surrounding details and explanations that you can dig into for an interesting read. Your interests: You want to find something that you have an interest in because your passion can show through in your writing. The more you want to know about the topic, the more likely you are to research in depth for extra material to put into your paper. By having prior knowledge of the subject, you are able to find more unique cause and effect relationships to delve deeper into. Information on the cause and effect: You need to make sure that the topic you choose has enough information available for you to find on the relationship. This means being able to research the actual cause and effect topic instead of just the general topic as a whole. Your audience: The person (or people) who will be reading your essay should influence your topic to make sure the cause and effect relationship will be interesting for them to read. Consider their current level of knowledge on the topic to be able to bring new information for them to consider. Your knowledge: Of course when writing an essay you will do research on the topic, but having a prior understanding of the material will help look at the causes or effects that are not as obvious to a novice on the subject. Now that you have the topic, create a draft to keep your thoughts focused and to organize what you intend to say. Once you have your topic picked, start your essay with a fishbone diagram, also known as an Ishikawa diagram, to get your ideas laid out before you start writing. To use this form, you will write the problem that needs to be solved, known as the effect, and then a line as the backbone of the fish to stem the causes out from. For example, if you are choosing to write about the effects of drugs used to battle lung cancer, the fish head would be lung cancer drugs, and the items stemming from the body of the fish would include examples like fatigue, blood clots, nausea, and hair loss. This fishbone diagram will let you brainstorm the possible causes and effects that you can write about as an outline before going too much in depth. This graphic organizer can help prepare you to write a clear and compelling cause-effect essay. Once you have your thoughts organized, you can develop a thesis statement, which will usually appear toward the beginning of your paper. An example of a thesis statement would be: Because the drugs that are used to kill your cancer cells are so strong, they can cause multiple side effects, including nausea, vomiting, fatigue, and some decline in cognitive functioning. You will then proceed with the body of your paper to support your thesis statement. The body statement will reflect your cause and/or effect with the supporting details, as stated by Webspiration Classroom. Your causes can be organized as either chronological or based on their impact. Both of these can be written in reverse as well. The below are possible topics for a detailed cause and effect essay. Did the Black Tuesday stock market crash directly contribute to the start of the Great Depression, and what was the effect on the people in the country? How did the assassination of President John F. Kennedy by Lee Harvey Oswald change the country? How did the decisions made by Captain Sullenberger affect the safety of the people in and around the plane that landed in the Hudson River? Go through the effects, both short term and long term, of the attack on Pearl Harbor. What triggered the Anglo-Powhatan War in 1644? What are the social, economical, and political effects of the terrorist attack on September 11, 2011? What impact did the women’s liberation movement have in the U.S.? Other than losing rule over the United States, what significance did the American Revolution play in the history of England? How does El Niño change the weather around the globe, and what is the effect on the people in various regions? 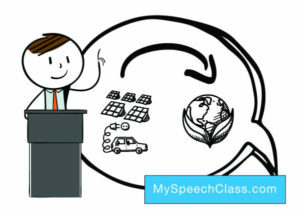 Write about the adjustments a person can make to have a positive impact on slowing global warming. Describe the effects of overpopulation and what can be done to resolve it. What causes air pollution and how does it impact the environment and health of the population? How is global warming leading to an increase of extreme weather around the world? Talk about the financial cost versus brand image gains when a company uses recycled materials for their products. What are the biggest environmental effects of acid rain? How can the increased use of pesticides impact the environment and human health? The industrial revolution in 1850 is the cause of the ongoing weather changes. What are the leading risk factors linked to lung cancer and the possible outcomes on the patient depending on treatments? To what extent does a diet affect a person’s mental and physical health? What are the main genetic, environmental, and psychological causes of drug addiction and the lasting outcomes on the life of the user? What are the effects of introducing potential food allergens at an early age to babies? What are the possible biological, environmental, and psychological conditions that are believed to affect mental health? What are the risks associated with childhood obesity and the steps that can be taken to prevent it? What results did the surgeon general warning on cigarette packages have on sales? Describe the belief of Nichiren Buddhism regarding simultaneity of cause and effect? How has technology affected the practice of religion in various faiths? What factors contributed to the rise of the Islamic State? How did the Babylonian Exile effect Judaism and the Jewish people? What results are we seeing with the baby boom generation moving toward retirement? What changes can be made to have the highest rate of graduation from high school students? What are the explanations for the gender pay gap and the repercussions of it? What are the potential risks to growing up in poverty in the U.S.? What are the immediate social impacts that come from having braces as a child? How has the constant use of smartphones affected children that are around adults who are frequently on these devices? What are the psychological effects of divorce on children? How can the media have an impact on discrimination and racism? What ramification did the women’s liberation movement have on marriage? A cause and effect article is a great way to present medical information in a way that simplifies it. This way, readers can fully understand it. It can also help to offer risk factor information and solutions. The body of the essay could be structured in three paragraphs. The first, discussing the various dangers of obesity. The second, examining the link between obesity and diabetes. While the third and the final paragraph offering advice, resources and strategies to controlling obesity. Since the introduction has already debriefed the readers on diabetes, an interesting way to begin the article is a discussion about obesity. This includes the stats and risk factors. A transition in the second paragraph to the link between obesity and type 2 diabetes would be natural. In this paragraph the writer can include various studies. Further the writer could provide information that can be broken down and analyzed in an easy-to-understand way for the reader. The final paragraph can focus on controlling obesity. It could discuss exercise, quality food and diets, strategies and the various resources available to help people control their weight. In the conclusion, the main points should be recapped. As well as once again stating that this is one risk factor that can be controlled. Lastly that regulating this health aspect can prevent a disease that can very much affect one’s quality of life. The layout of the article could first introduce the topic of problematic housing markets like Toronto and Vancouver, introducing statistic like the average price of a detached home and the average cost of a condo in these cities. It could also discuss issues like low paying jobs and internships, high levels of personal debt and the disadvantages that youths already face in entering the housing market. The second paragraph could naturally transition into rates of millennials still living at home, unable to afford rent and well-meaning parents either investing in down payments or outright buying homes or condos in the hopes of helping their children to enter the market. The final paragraph explains that this actually worsens the situation as the market continues to be driven upwards by a demographic that cannot actually afford to be buying houses. This demographic is being grandfathered into property ownership, putting the market at risk of crashing. Again, the conclusion should reiterate all the points made in the essay and offer solutions, while highlighting the dangers of this trend continuing at its current rate. This topic could be considered a mix of a medical and societal paper. Electronic cigarettes, also known as vapes, are an alternative to traditional tobacco use. They allow users to break smoking habits by allowing them to wean themselves off nicotine. This is done physically, and then subsequently wean themselves out of the habit of smoking. However, not currently FDA approved. This essay could discuss vapes as a smoking cessation aid, while arguing that the potential harm is surely less dangerous than the risk of a lifetime of smoking. After the topic is introduced, similarly to how it was introduced here, the first paragraph could discuss smoking. It could discuss its dangers and the staggering number of people who die from smoking-related illnesses every year. It could discuss the strain that these figures put on our medical system. The second paragraph could focus on the electronic cigarettes and the adversity they have faced from both the tobacco industry and the government. It could discuss the correlation between flavored nicotine products and marketing to children, as well as the fact that the safety of electronic cigarettes has not been tested in the long term. The final paragraph could discuss using electronic cigarettes as a smoking cessation tool, in terms of harm reduction. It could include other examples or harm reduction instruments such as medical marijuana dispensaries and safe injection sites as well as testimony from people who have used e-cigs to quit smoking real cigarettes. The conclusion of the article should recap the key points. It should clearly determine the writer’s opinion as to whether or not electronic cigarettes are an appropriate cessation tool. Cite this article as: Jim Peterson, "Writing About Cause and Effect [+ Sample Topics]," in My Speech Class, May 13, 2018, http://www.myspeechclass.com/cause-effect.html.